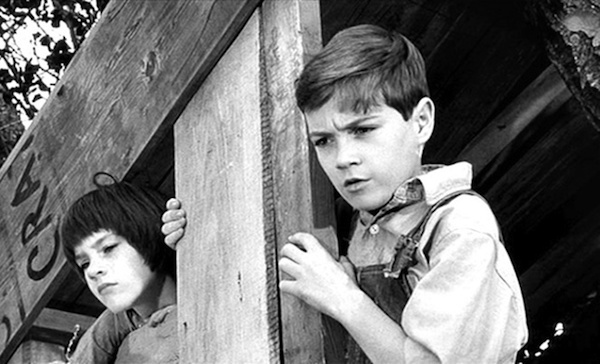 Another Big Thank You to author Tom Santopietro for hand-picking another excerpt for us – this time about the casting of Scout and Jem – from his book “Why to Kill a Mockingbird Matters”. This is the second in our two-part series on the filming of To Kill a Mockingbird, courtesy of Tom. If you’d like to read the first excerpt, about the casting of Atticus Finch, click here. Making her red letter day even better, Boatwright found her ideal Jem that very same afternoon when Philip Alford, a thirteen year old eighth grader, walked in for his audition. With a boy next door affect and, in Boatwright’s words, “an angel face”, Alford projected a polite but rather indifferent attitude towards the idea of acting in a movie. The son of a bricklayer foreman, Alford had actually appeared in amateur theatre productions of The King and I and The Man Who Came to Dinner, but when it came to acting he could take it or leave it. He was more interested in sports than acting, explaining that he wanted to be Tarzan- not Johnny Weissmuller. As it was, when the same James Hatcher who had told Mary Badham’s mother about the auditions called Philip’s mother and suggested that Philip audition as well, Philip turned the invitation down- until he learned it would allow him to skip half a day of school. Alford, it turned out, lived a mere three streets away from Badham, and although the two youngsters did not know each other, the combination of his looks, nonchalant boy next door persona, and southern working class background (he lived in Birmingham but spent summers at his grandmother’s house in the Maycomb-like small town of Piedmont, Alabama) heightened Boatwright’s interest. Even more to the point, it was immediately evident to the casting director that Alford possessed genuine acting talent. Alford met with Boatwright for no more than five minutes, returned home, and promptly forgot about the audition. Every day life resumed until three weeks later, when Alford was asked to come to New York for a screen test. Heading north on the train because his mother was afraid of flying, Philip stayed in Manhattan for three days while meeting with Mulligan and Pakula. Badham flew north at the same time with her own mother, and the two children were paired together for their screen tests. Mulligan was immediately struck by the fact that they looked like brother and sister, and the discrepancy in their sizes felt just right: Alford was four feet eight inches and seventy-six pounds, small enough to pass as “Jem”, but big enough to lord it over Scout and Dill. It all passed pleasantly, if vaguely, and Mary and Philip returned to Birmingham, happy with their New York adventures. Both youngsters may have assumed they were about to resume their normal routines, but Robert Mulligan now had other plans in mind. After their informal but carefully calculated screentests, he felt absolutely certain that he had found his youthful leads, two unstudied, natural sounding, southerners who would react to the filming just like regular children- as an adventure. Calls were placed- by this time Mary’s mother had overcome her husband’s objections- and Mary Badham of Birmingham, Alabama was officially and enthusiastically on board to play Scout. At which point, on New Year’s Eve of 1961, the phone rang in the Alford residence and Philip’s father was asked to have Philip in Los Angeles by early February for the start of filming. The role of Jem was officially Philip’s. Hope you enjoyed this excerpt! And, if you liked this one, please check out the excerpt from author Tom about the casting of Atticus Finch here. Here’s a short trailer about the book, narrated by author Tom Santopietro. This entry was posted in Books, Posts by Annmarie Gatti and tagged Mary Badham, philip alford, the casting of scout and jem, To Kill a Mockingbird, Why to Kill a Mockingbird Matters. Bookmark the permalink. These posts inspired me to check this book out from my local library. 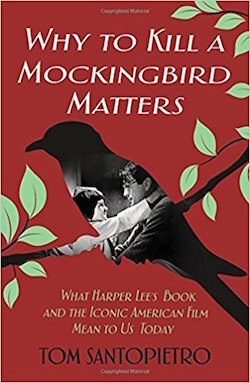 I have had complicated reactions to both the book and the movie (particularly the idealized depiction of Atticus Finch). I wasn’t surprised by the racist reveal of GO SET A WATCHMAN. I appreciate the opportunity to hear a deep discussion of the text, the movie, and their combined impact on American ideas and society by someone who has clearly given this long and careful thought.